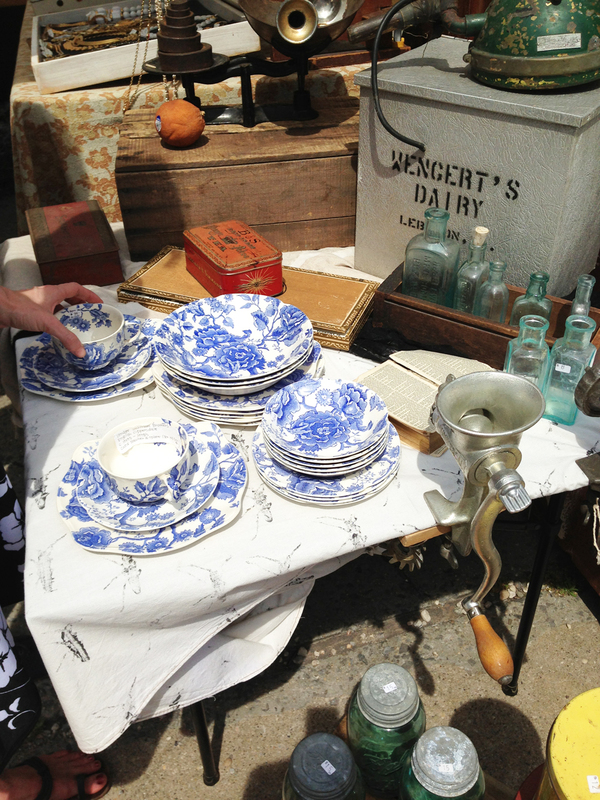 Vintage finds: The Williamsburg Flea! 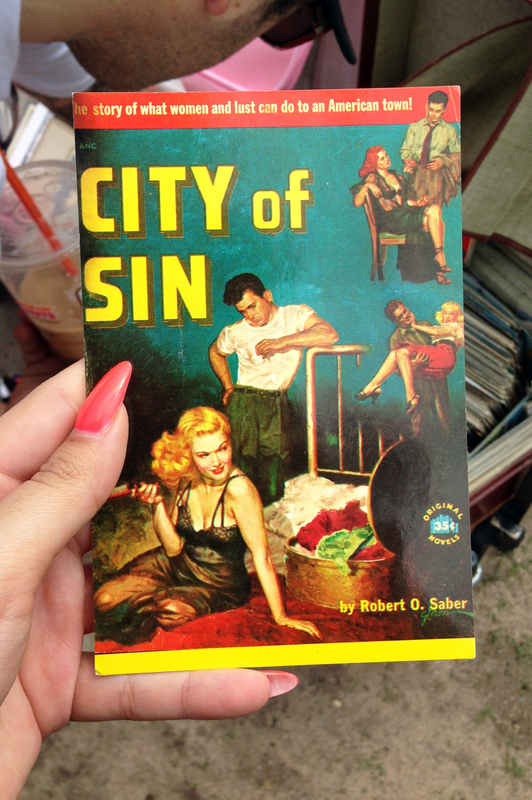 It was a beautiful day in Brooklyn and I finally had a sunday off to do whatever I wanted so I dragged my boyfriend out of bed to finally visit the Williamsburg flea. 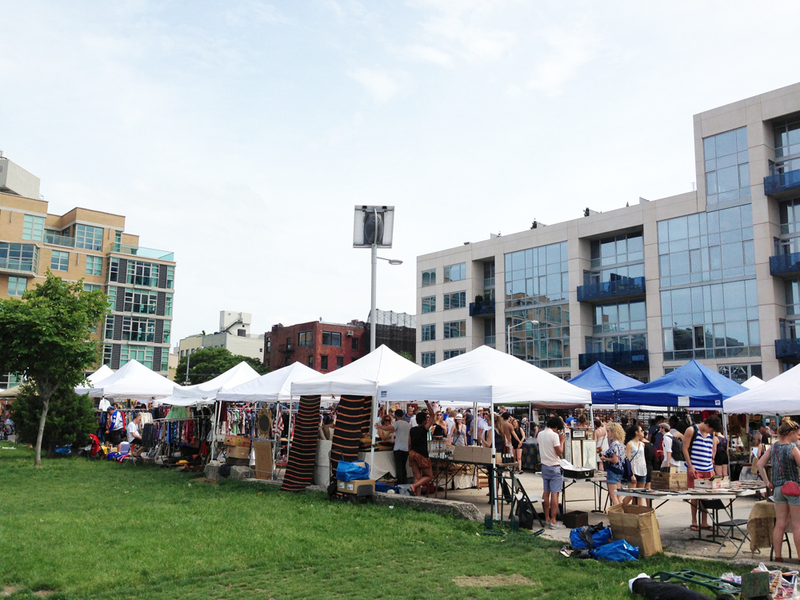 I have heard many great things about the Brooklyn Flea’s and cannot believe I haven’t been to one till now. Better late than never because It was absolutely perfect and such a great way to recharge my soul because NY really doesn’t have the best vintage shops. In my opinion most vintage shops here are way too expensive and don’t really carry the great styles I see elsewhere. I can’t blame them, the rent here is so expensive, they have no choice but to price their vintage at higher price points. 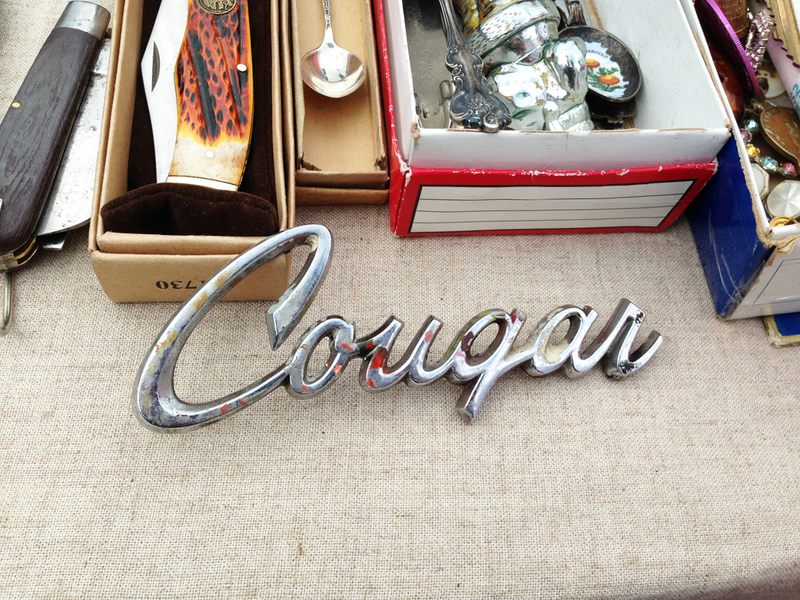 Anyway, If you can imagine, I was in pure heaven at the WillyB Flea, the prices were just right and the vintage and antiques were great. 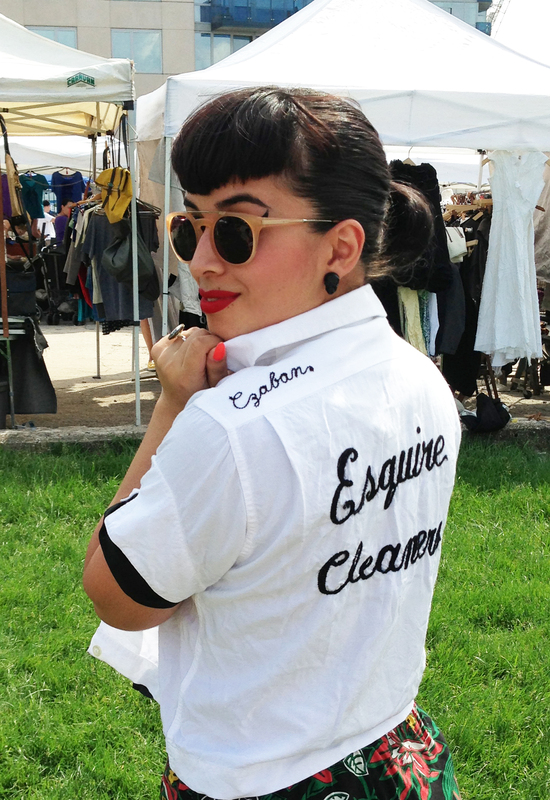 I met some great vintage dealers and purchased some really cool things. I am already itching to go back! 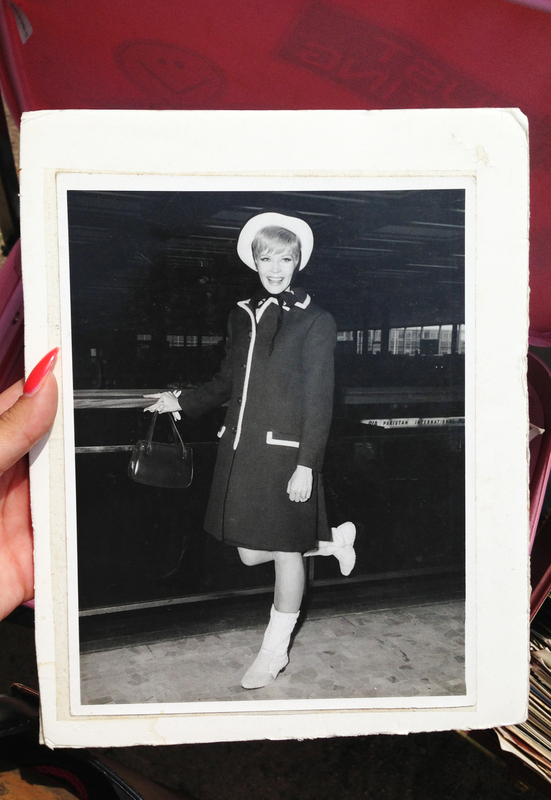 I get lots of messages from many of you asking about my favorite vintage stores in NYC, my response from now on will be “Just go to the Brooklyn Flea’s”. 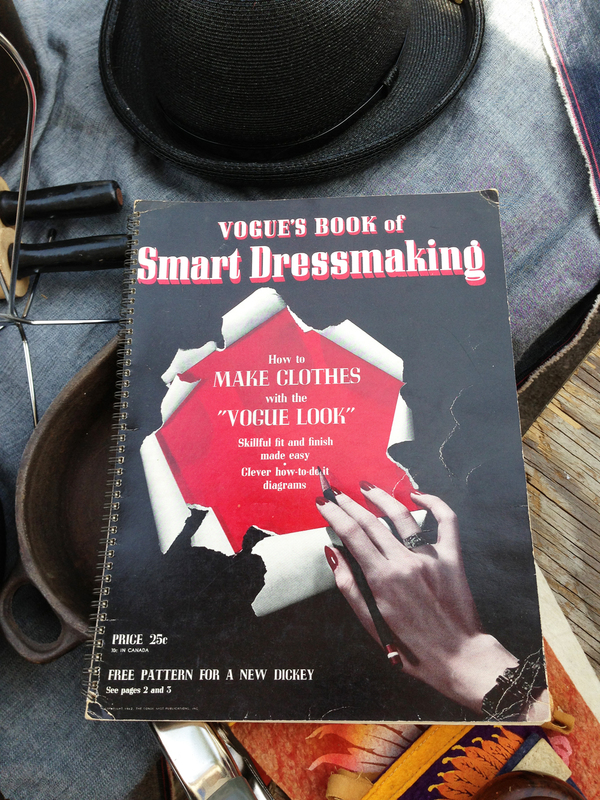 Now I just have to check out the Fort Greene and Long Island flea to see what great vintage I will find. 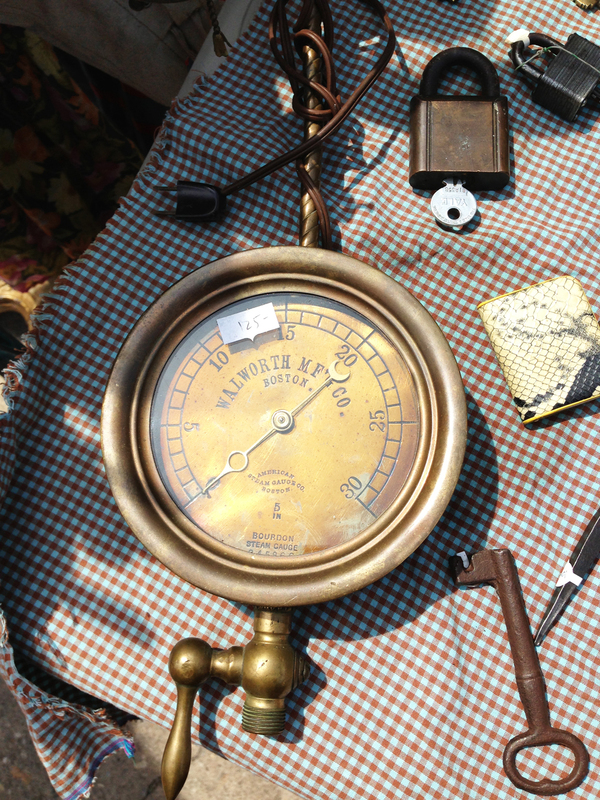 I plan to make trips to the flea markets at least once or twice a month because my soul loves it and needs it! 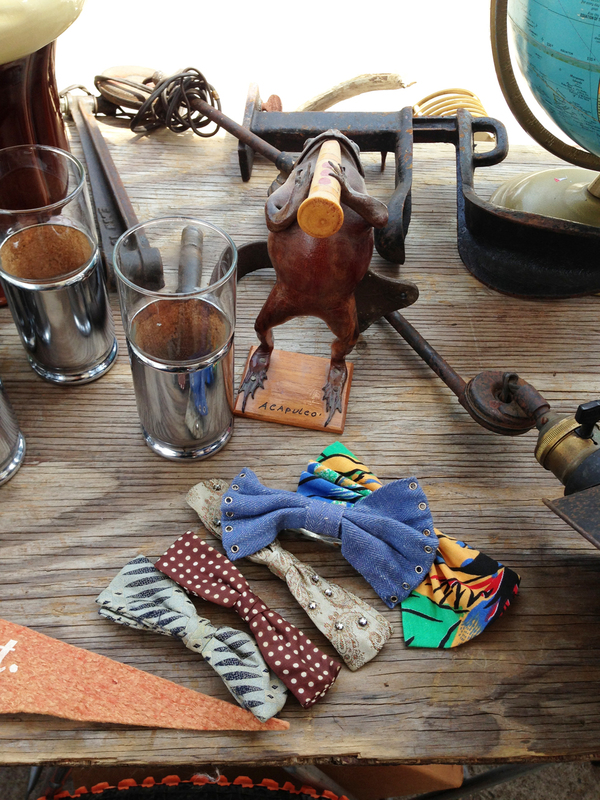 Check out all of the interesting things I saw and purchased at the WillyB flea inside! I’m ready! 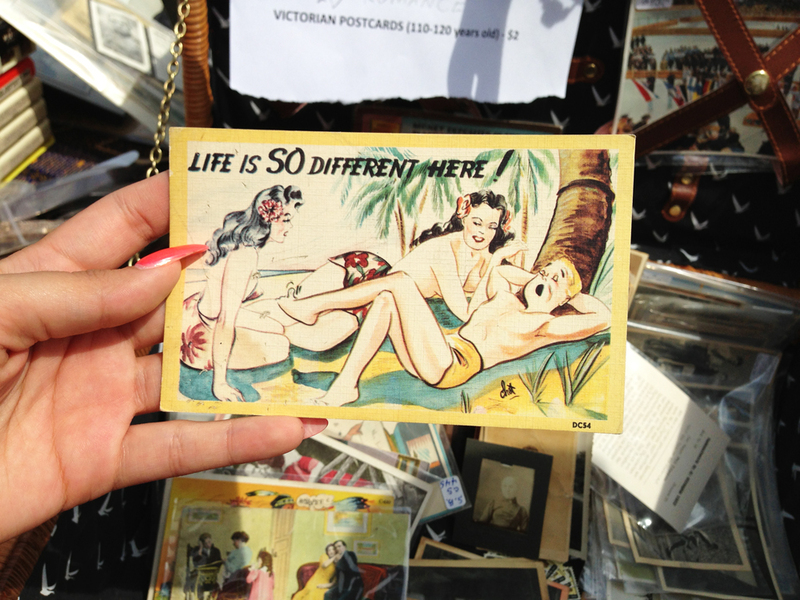 The first vendor we visited had a bunch of cool post cards, pictures, books, and vintage specs! I purchased a few post cards and some of his vintage eyewear. 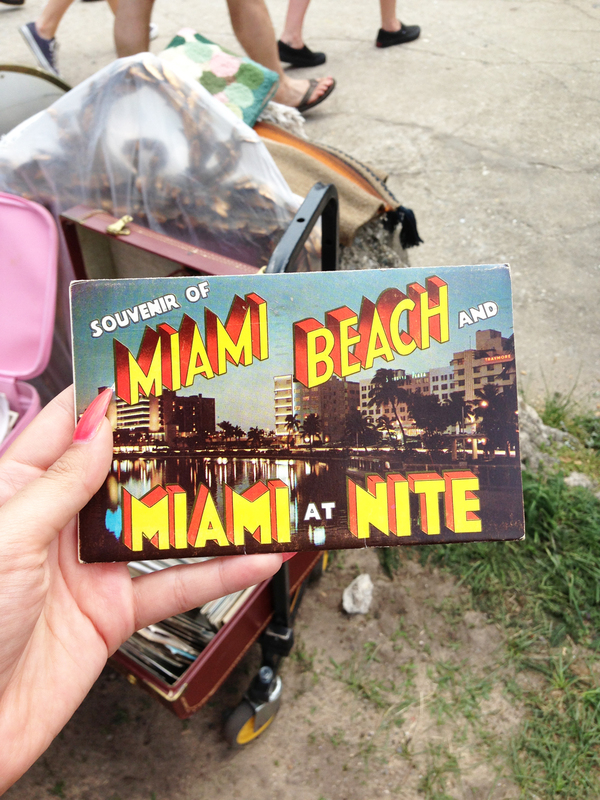 My boyfriend picked up this awesome vintage post card set and I tried to steal it from him! I should have gotten this! 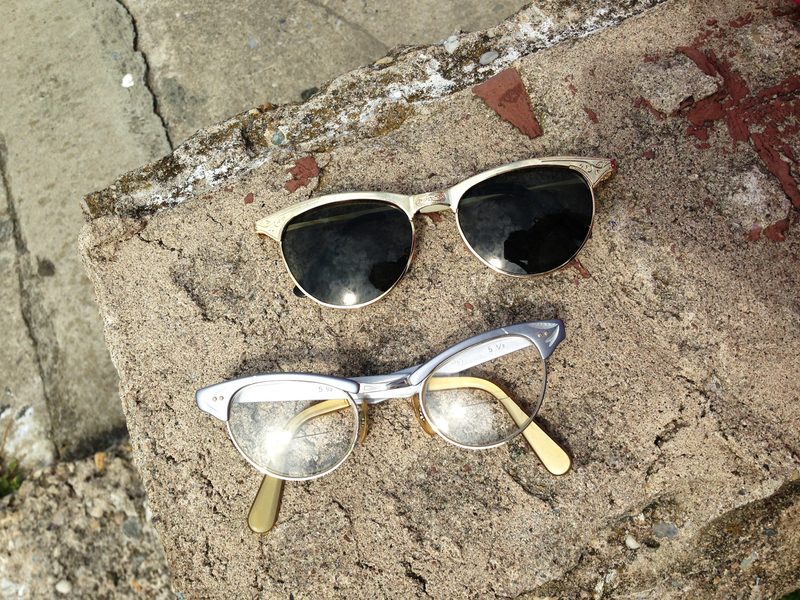 But I got these two pair of vintage specs! Is it weird that I wanted to buy this frog? 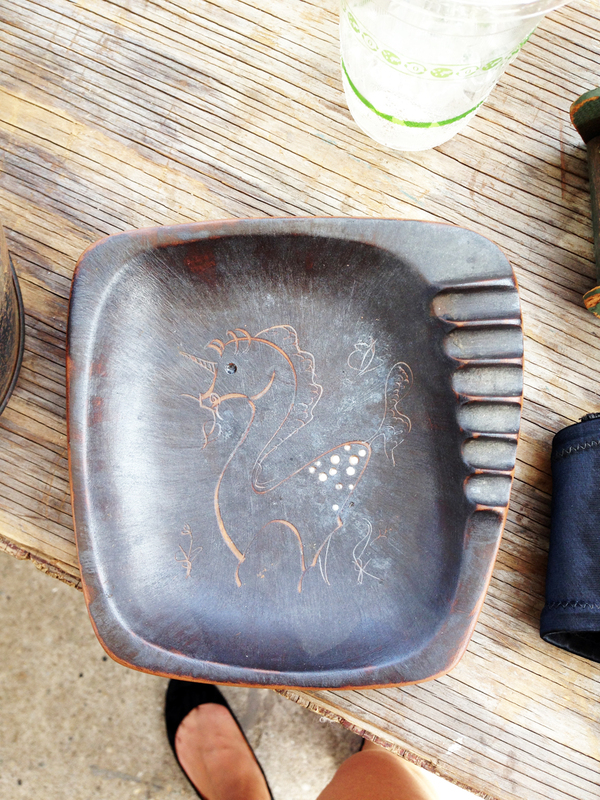 Antique unicorn ash tray! Definitely from the 1950s. 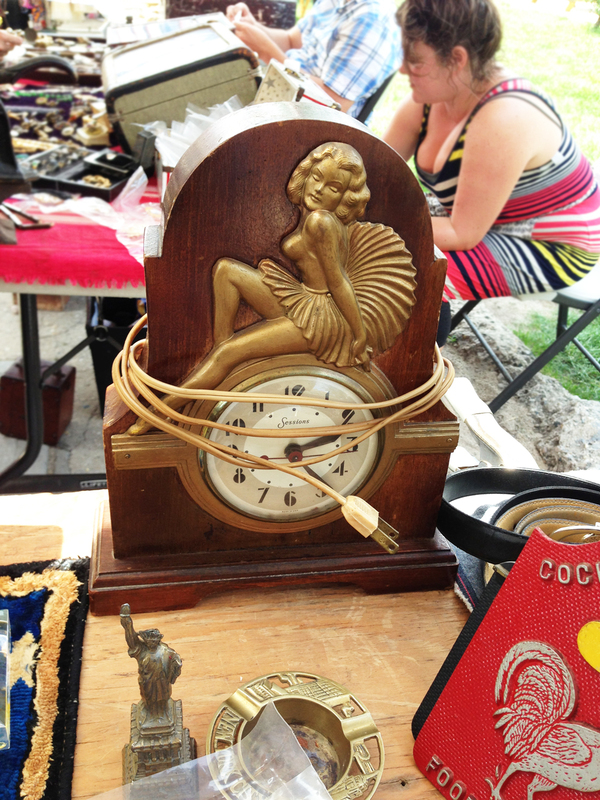 I was in LOVE with this clock but I have nowhere to put it:/ Antique trinkets and things! Don’t know what I’d use this for but I still want to own it! 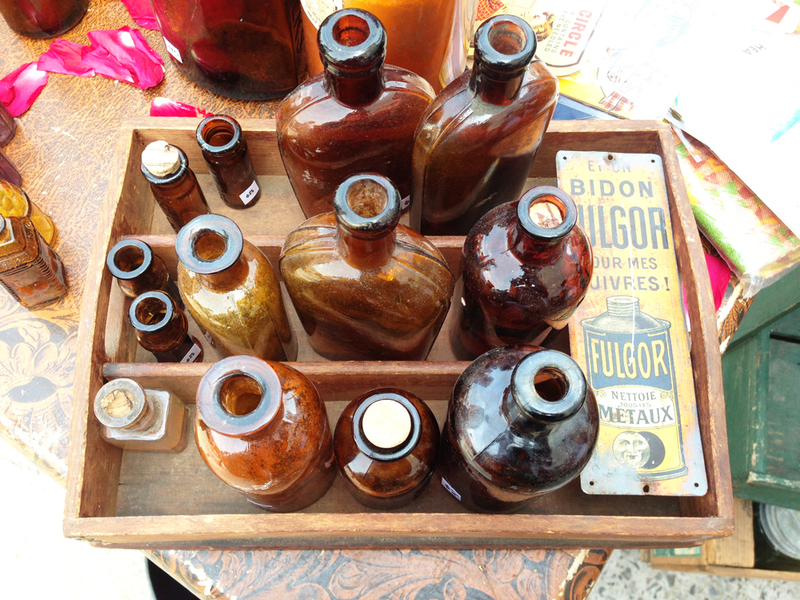 Vintage tools! Had to have this vintage Hawiian post card! Fine china! 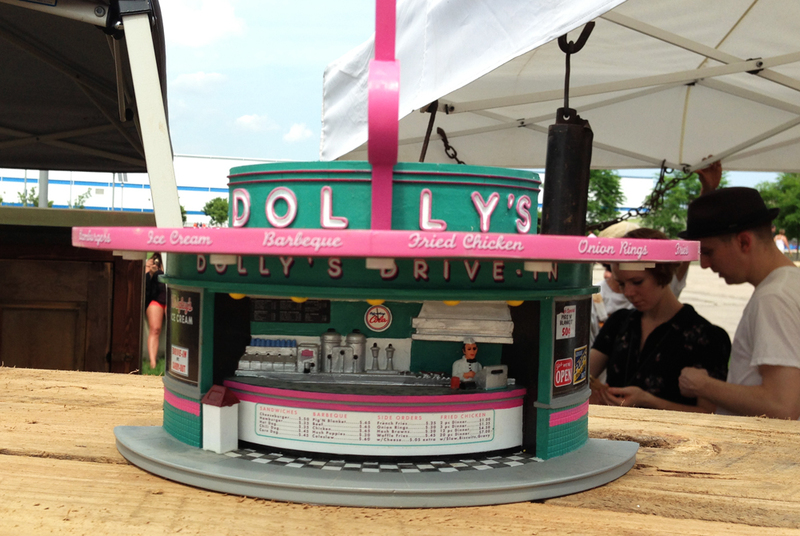 Itty bitty drive-in! 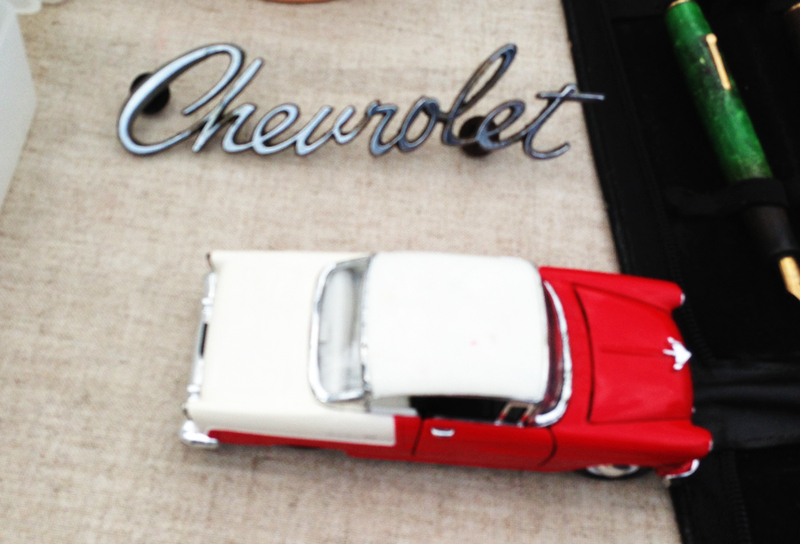 Love these hood ornaments! 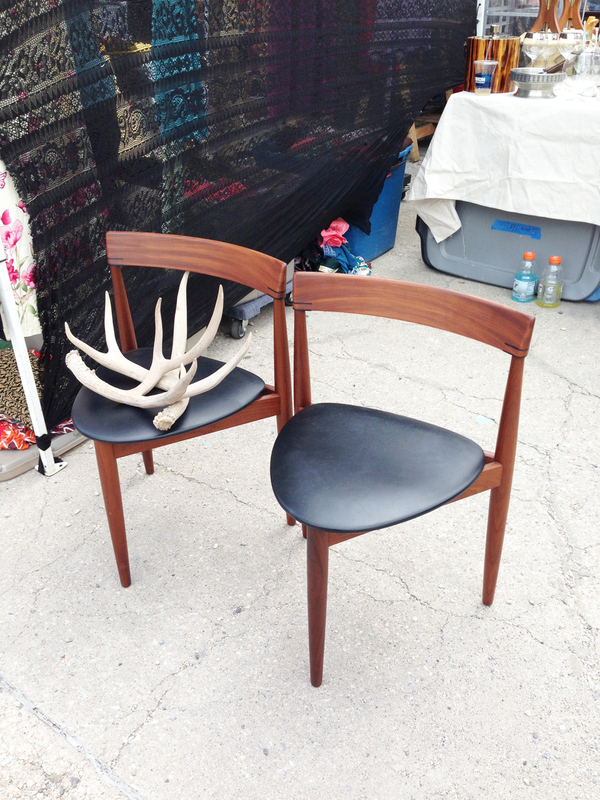 Can I haz these danish modern chairs please? 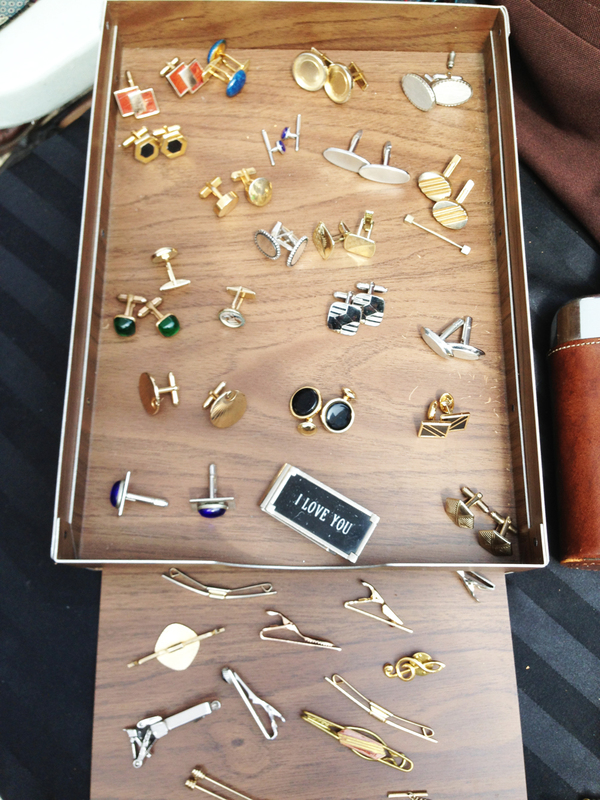 This was the Kingston 21 booth and they had lots of rad ties, tie bars, cuff links, and money clips! 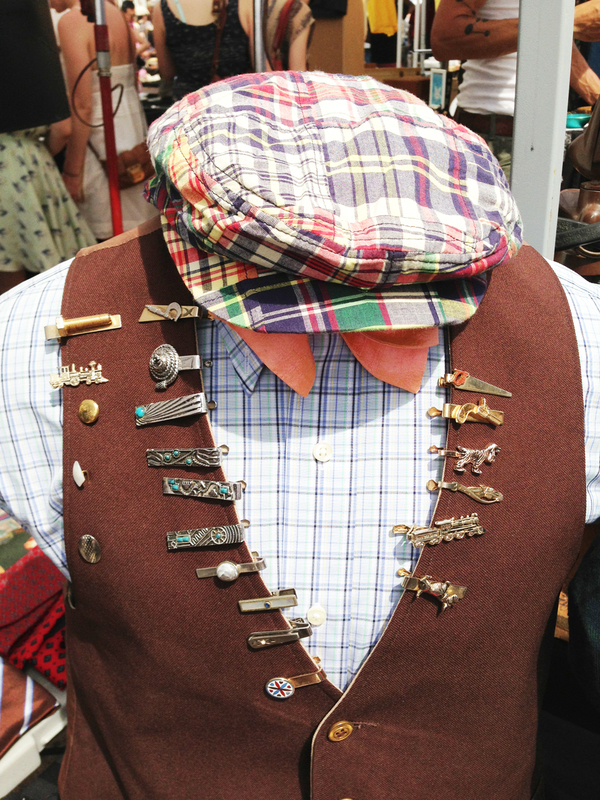 Love these tie bars! 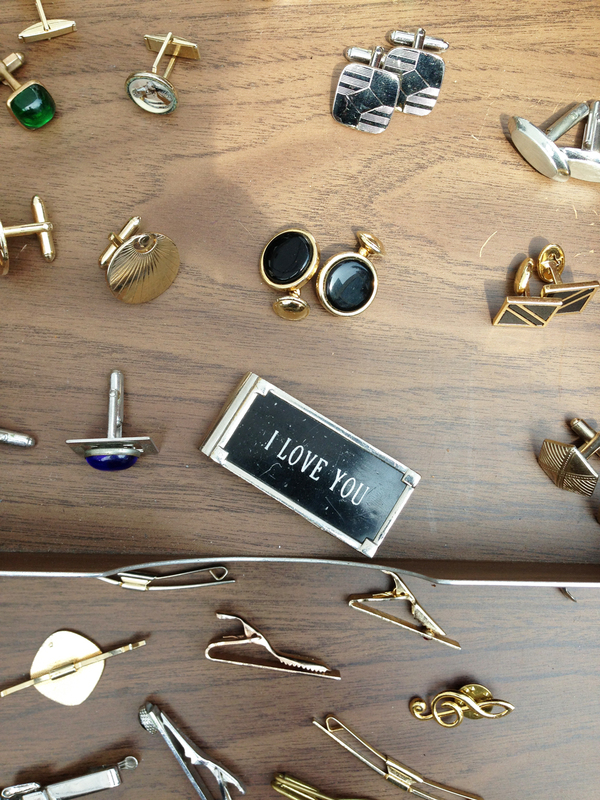 Cuff links, money clips, and more! I snagged myself these two rings at a cool vendor. 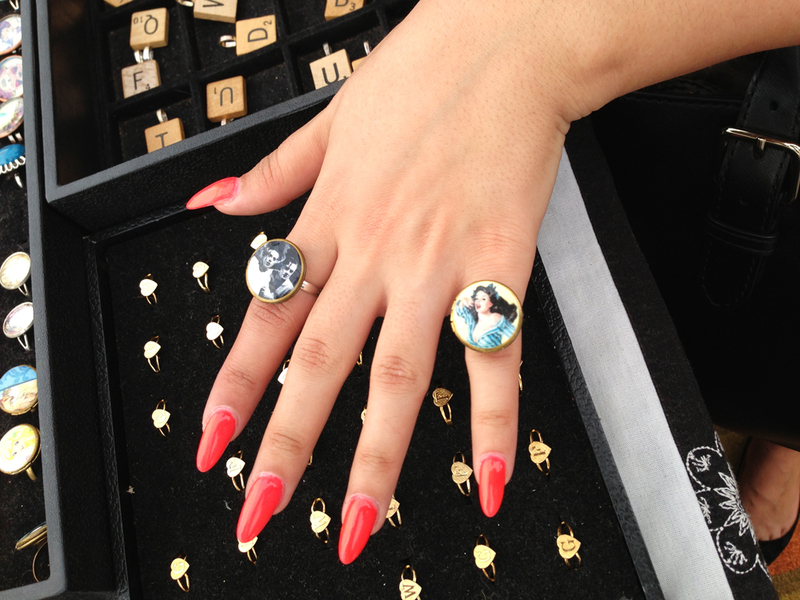 They are vintage locket rings! One is of a pinup and one is of the Bride of Frankenstein. 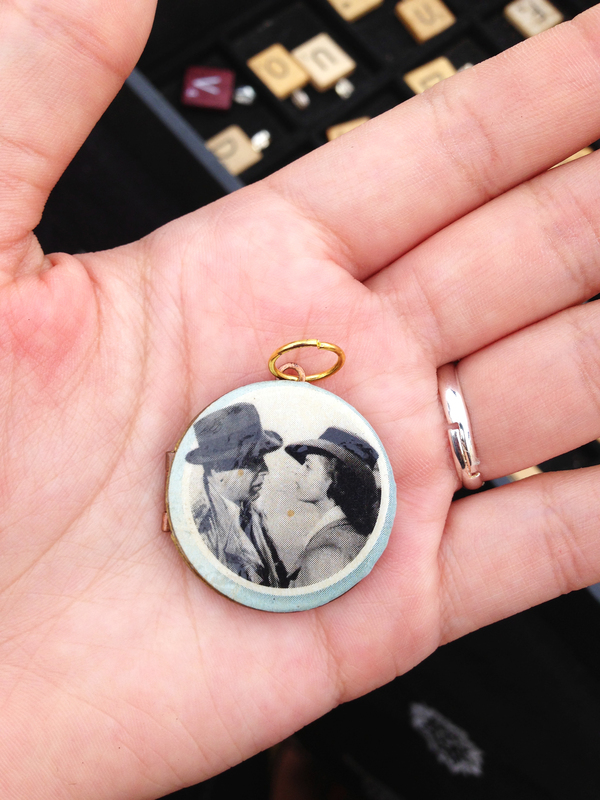 I also bought this locket of Casablanca with Humphrey Bogart and Ingrid Bergman.<3 Love it ❤ Antique bottles Books of Marilyn Monroe! 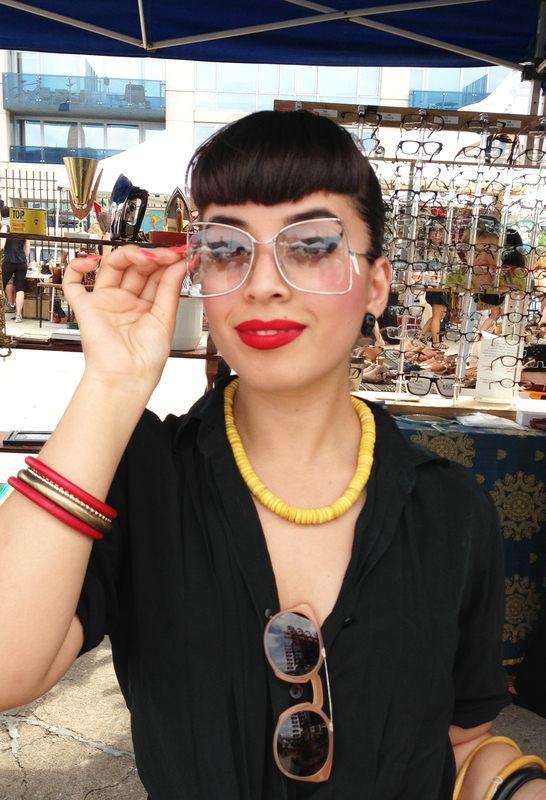 Found these awesome specs at the “Today’s Vintage Designs” booth that showcased a plethora of vintage eyewear. I fell in love with the 70’s but retro design of these and had to have them. 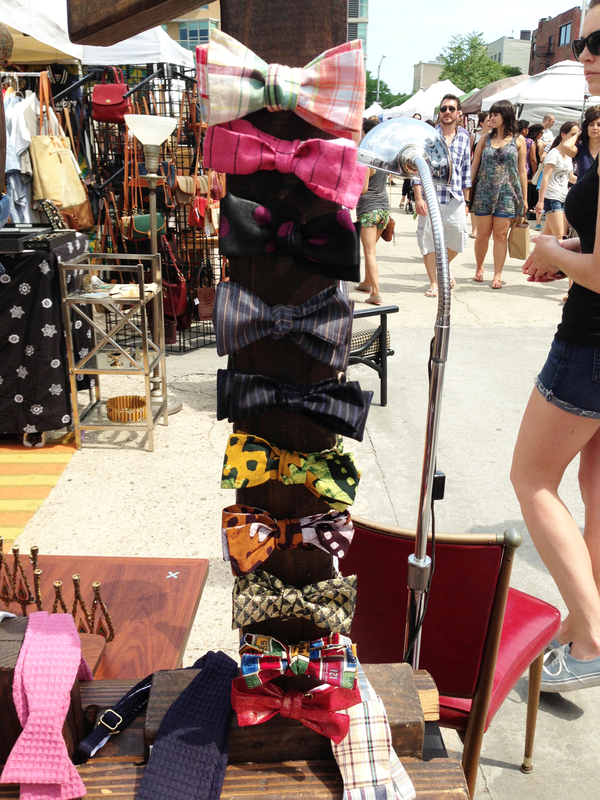 I also really liked the vendors of this booth. Bruce & Elizabeth were so sweet and I can’t wait to visit them again for some more specs. 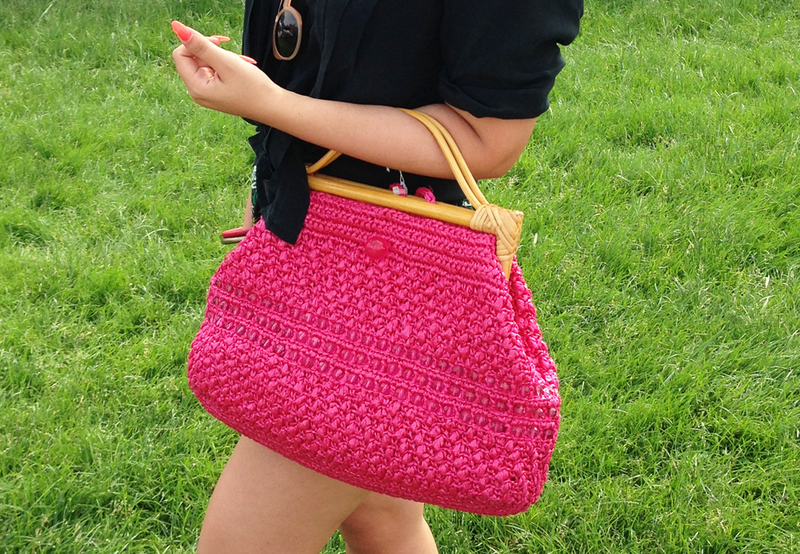 At another booth I found this really cool vintage bamboo knit purse. I am so in love with it! 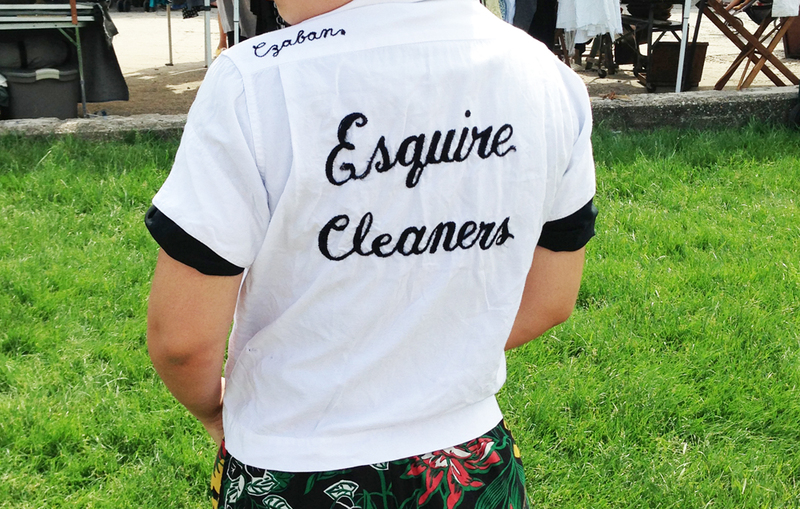 On the way out of the Brooklyn Flea, I stumbled across my greatest vintage find of the day-this “Esquire Cleaners” Bowling shirt! It is my favorite bowling shirt to date because I have been collecting them for a year now. ← Bettie Page Cowgirl Contest! I went there this past Sunday and it was really awesome! It was a bit of a journey coming from Jersey but it was fun. My boyfriend got me a super cute vintage heart shaped marcasite ring. 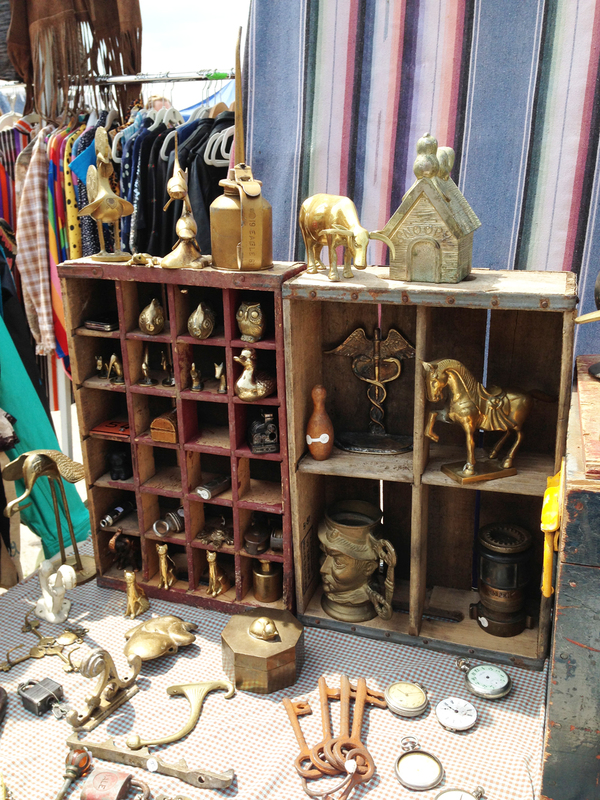 Awesome flea market! OMGGGG!!! I have to go and see if they still have that Vogue book!! 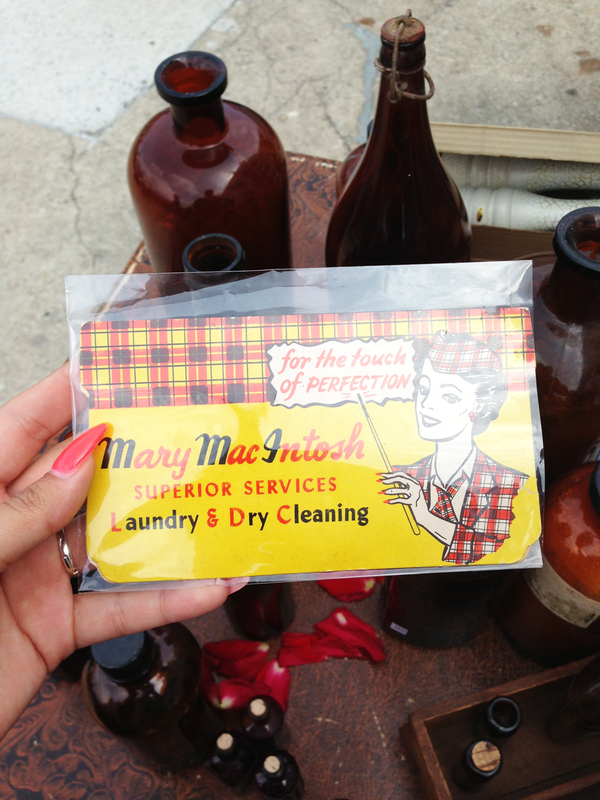 Do you remember the vendor? OOOh cool, Ive been making a list of places i should visit when i go to NY for Afro Punk this year and i def wanna stop by here! Thanks girl! 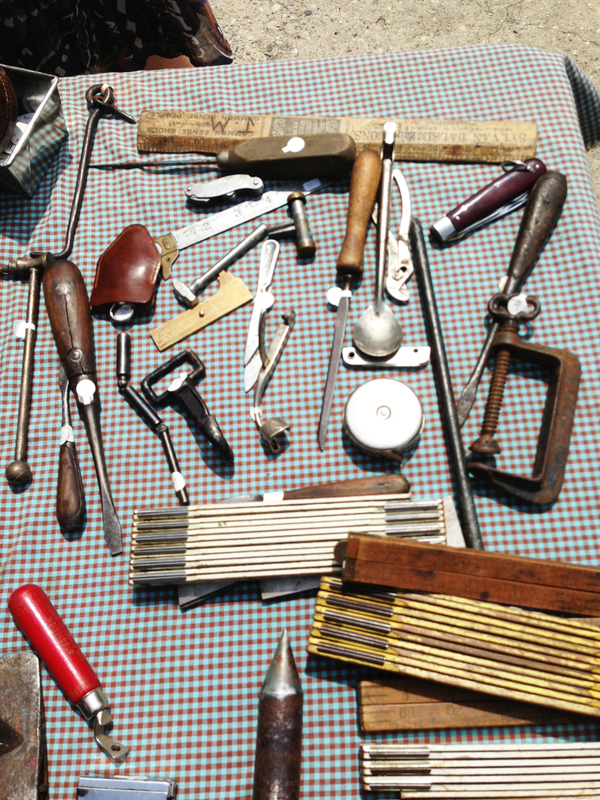 omg i want all of those vintage tools! i passed by there during a run, but unfortunately had no time to buy anything. it looked amazing though. how are the price points?